Guaranteed cheapest price in the industry. Fully managed by us for your peace of mind. Get Started With Cheap Windows VPS Instantly! Why to Get a Budget VPS Hosting? Fire up your fav music / video on your FRIEND's phone at her birthday party! Your friends can enjoy your fav collection on their OWN phones, simultaneously! Having a lake side picnic? Blast your DJ collection on iPhone via an amplifier! Your friends got better songs? Ask'em to upload their songs to YOUR Subsonic! Traveling across the globe? Your music is still with YOU. Just tune in ONLINE! 3. Upload your media files to your new server and start listening / sharing instantly! Bleeding-edge features on top of our enterprise grade Subsonic hosting platform. Enjoy your songs and videos from anywhere. All you need is just a web browser and the internet. All your media files are stored on our private cloud server. Your login is required for access. Add users and grant them access to your selected media. Let them enjoy what YOU want them to. 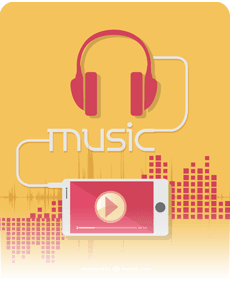 Supported music formats: mp3, ogg, oga, aac, m4a, flac, wav, wma, aif, aiff, ape, mpc & shn. Supported video formats: flv, avi, mpg, mpeg, mp4, m4v, mkv, mov, wmv, ogv, divx, and m2ts. Enjoy your videos in full HD on your big screen TV via Roku, Chromecast and more. Use WinSCP or FileZilla to upload multiple files at once. Your folder structures are fully preserved! Drag-and-drop to organize your media files & folders via any FTP tool like WinSCP or FileZilla. What's different among these VPS Plans? The VPS plans mentioned on the left are the basic plans for Windows Hosting. * Savings shown above are compared against 3-months Biling Period. Longer the billing period, more you save! * Savings shown above are compared against 1-month Biling Period. Longer the billing period, more you save! 1What is Subsonic Media Server? Subsonic is a free, web-based media streamer and an online jukebox software. Use it to enjoy your songs & videos anywhere online and share them with your friends & family. Get the fastest and easiest Subsonic server hosting at GigaPros. No more struggling with installation & configuration of your own Subsonic media server. At GigaPros, you get pre-installed Subsonic media player, which works immediately out-of-the-box and includes full "admin" access! Enjoy 24/7/365 LIVE support and 99.9% uptime. 2Can I upgrade or downgrade my Subsonic package? Yes, absolutely! You may upgrade or downgrade to another Subsonic package anytime. There will be no data loss during this process. Your billing will be re-adjusted based on prorata basis, so won't lose any money during this process. To initiate this process, login to My GigaPros and click on the drop-down arrow next to your Subsonic service. Then select the new package to which you want to upgrade / downgrade and follow the prompts. It may take 24-48 hours for us to fully switch your package. If you face any issue, simply submit a ticket to our Billing Department. 3What kind of access do I get for my Subsonic server? Your Subsonic software runs on a Linux based cloud server. You get 2 layers of access to your server: 1) "root" access to your Linux OS and 2) "admin" access to your Subsonic web app. Most of the time you will be using your Subsonic "admin" login via web app to manage your Subsonic users and media files. However, you can do much advanced stuff with your Linux OS "root" access like: batch uploading files, customizing Subsonic core, running a website along with your Subsonic portal and much more!